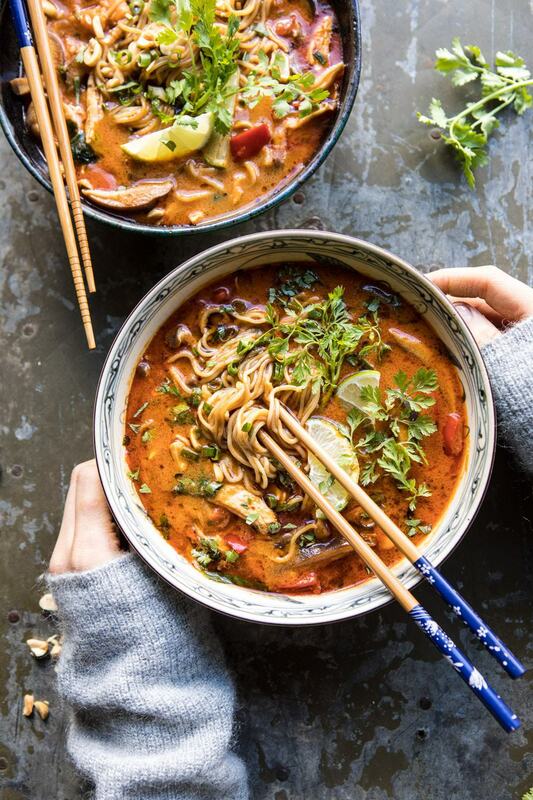 Fall is the perfect time to get some soup on! We love soup for its simplicity, its taste, and its super filling qualities. Soup is so much fun because you can do so much with it. Pair it with salad, serve it with bread, serve it as a main dish, or serve it as a prelude to a bigger meal. Fall weather just makes em want to plan soups and stews all week long. I like them because they are so simple to make, I can “beef” them up and make them really hearty or lighten them for something not so filling. Mostly I love them because the cooler weather makes me yearn for something warm and comforting, but also because we are so darn busy in the fall that I can leave the soup cooking in the crockpot while we are out running around, or cook a lot ahead of time and reheat it when we are home. There are so many different soups you can try this fall, but I wanted to try something a little different. I love Italian food. We eat a lot of pasta, but sometimes you want something that isn’t just pasta. I love Italian soups that incorporate Italian pasta and that soup quality that I love. This soup from Yellow Bliss Road does exactly that. Thank you to Kristin for this fabulous and simple recipe. Kristin is a mom that loves to bake, cook, and share all things kitchen with her readers at Yellow Bliss Road. Her recipes and crafts are so simple to follow and she always shares incredible photos. Her Tortellini Soup with Italian Sausage and Spinach is a simple recipe to follow and it helps sneak in a few good for you things that your kids won’t really notice once mixed all together. Win, win! For the complete recipe head on over to Yellow Bliss Road and get the full scoop! Don’t forget to check out more of Kristin’s crafts, recipes, and blogs when you are there. This entry was posted in Food & Recipes and tagged crockpot meals, crockpot recipes, dinner, food, italian soups, meals, recipes, simple recipes, soups, the boys store, tortellini, yellow bliss road on October 13, 2016 by Lacy.